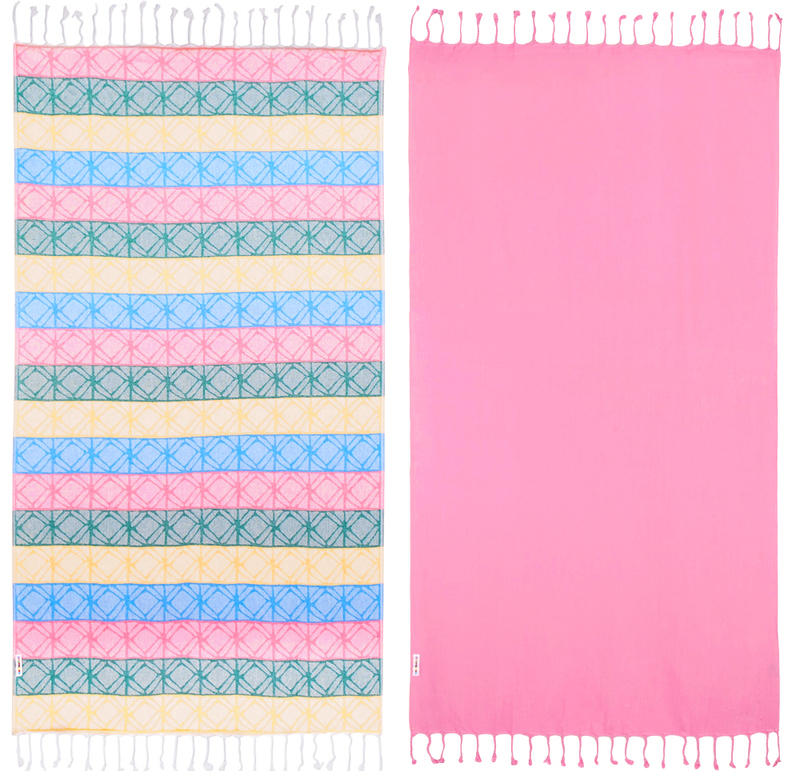 I designed a range of towels for Hammamas that were to be exclusively sold on Net-a-Porter for a limited time. We looked into fashion and print trends in order to being the project, coming up with quite a few different ideas that were eventually narrowed down to 4 sets. I created fun little videos to help promote the towels on social media – in particular Instagram. 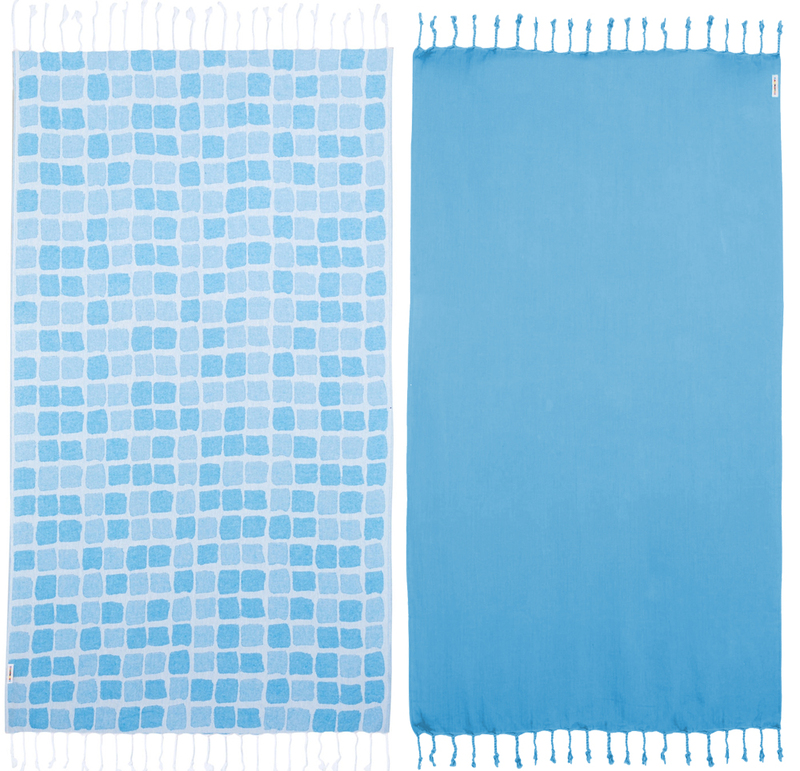 The towels are currently available here on Net-a-Porter. Hockney’s Pool – inspired by the colours of David Hockney’s famous swimming pool paintings. 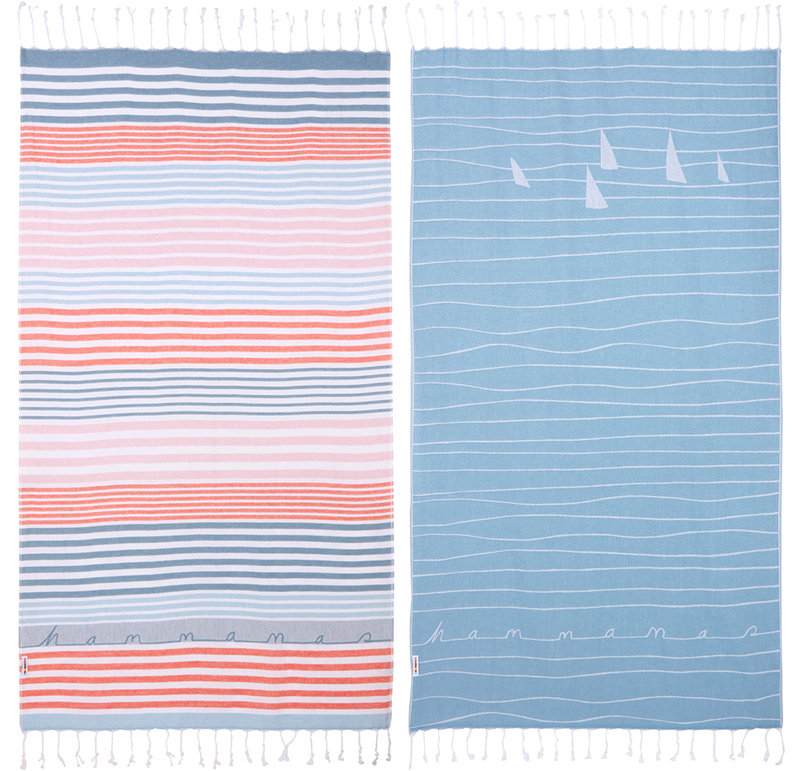 Riviera Chic – boats, marine life, french sophistication all inspired this range. I also worked on a Hammamas hand lettering logo that flows along the bottom of the towel. 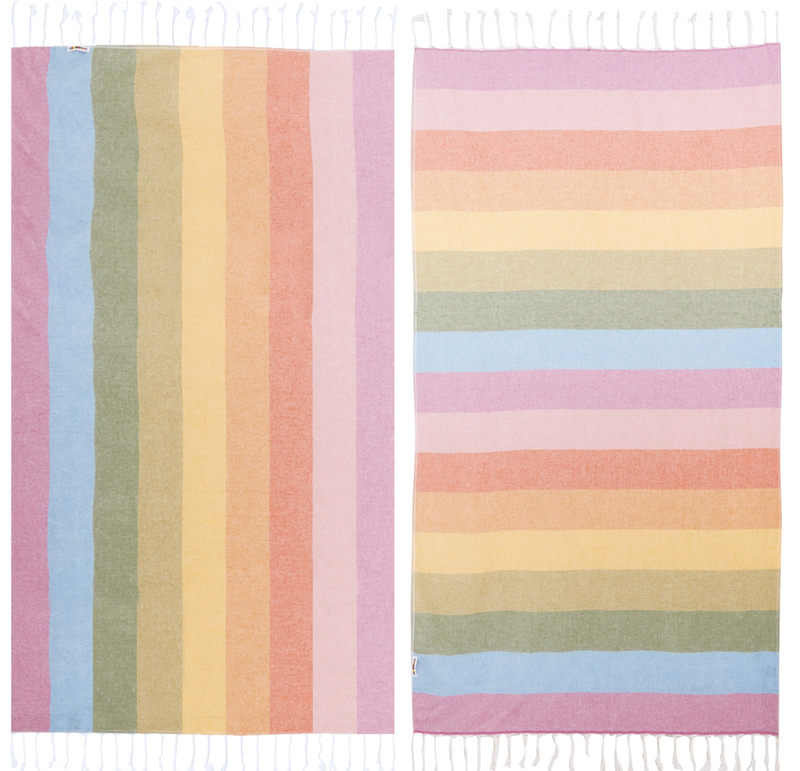 Retro Rainbow – inspired by the colours and faded rainbow prints of the 1970’s. Only the one on the right is available on Net-a-Porter.